What’s better than Kale? Well I know some people would say no kale, but I’m quite a fan and am going for double kale! 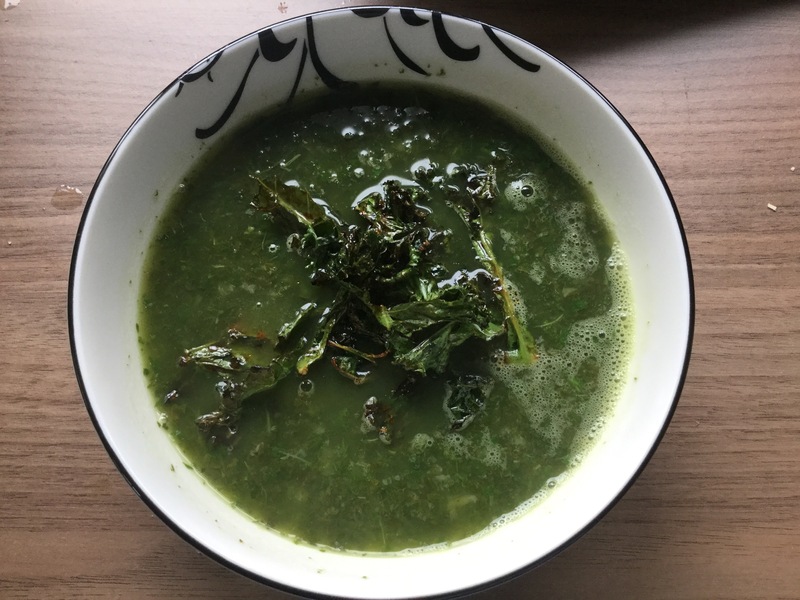 It’s not quite as silly as it sounds as this really quick and easy soup makes use of kale in two very different ways, firstly as the main ingredient in the soup itself which is full of mouthwatering lemon and basil, and as a crispy topping to the soup where it’s flavoured to be smoky, dark and slightly sweet. It’s a great flavour combination and the whole shebang only takes 15 minutes from start to eat. 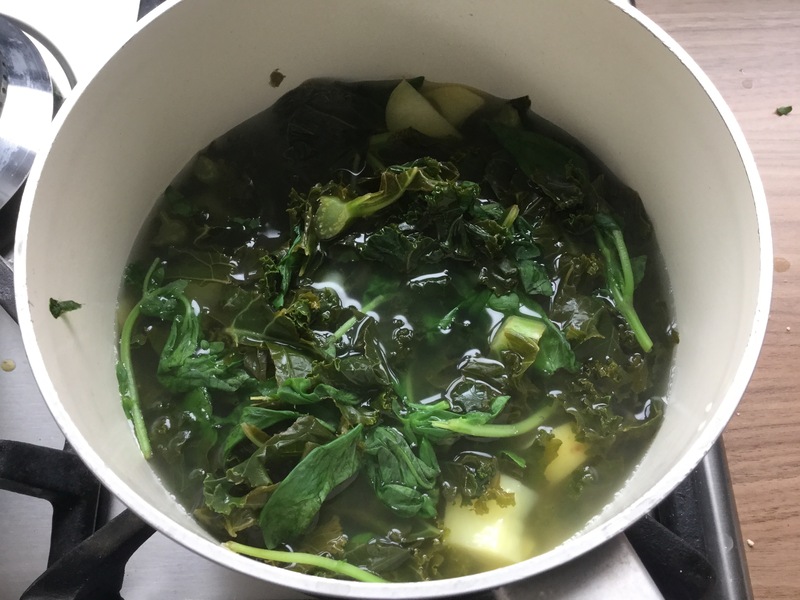 Put all the ingredients for the soup in a pan, except the basil, and bring to a low simmer, until the potato is cooked, about 10 minutes. Whilst the soup is cooking, in a large bowl toss together all the ingredients for the crispy kale making sure everything is well coated, place on a baking tray and pop in the oven, it only takes about 5 minutes to crisp up and start developing a lovely char taste, so please keep an eye on it, the smell of burnt kale is not pleasant! When the soup is cooked turn off the heat, add the basil, stir through until wilted then using a stick blender blitz until smooth. 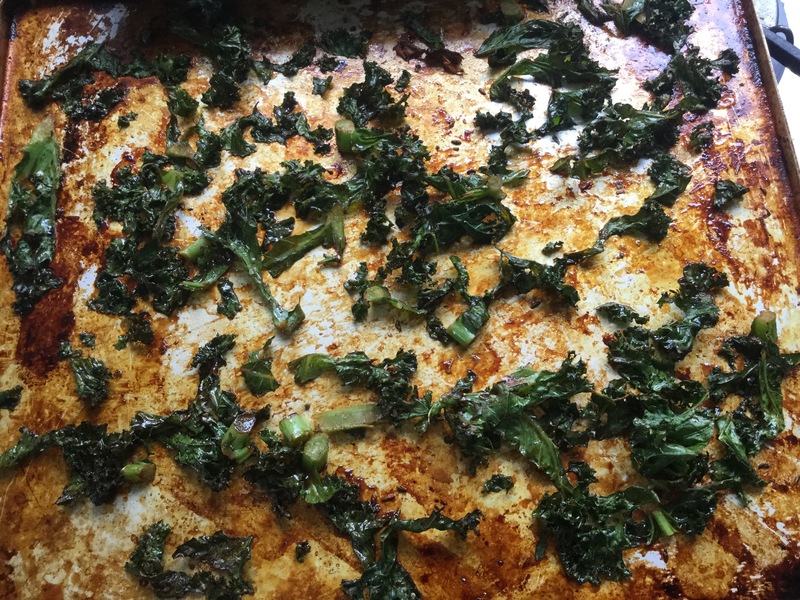 Pop the soup in a bowl and top with a generous amount of the crispy kale.